Colorful Friction-Powered Monster Truck- 4 Inch- 12 Piece Display Box | Hayes Specialties Corp. 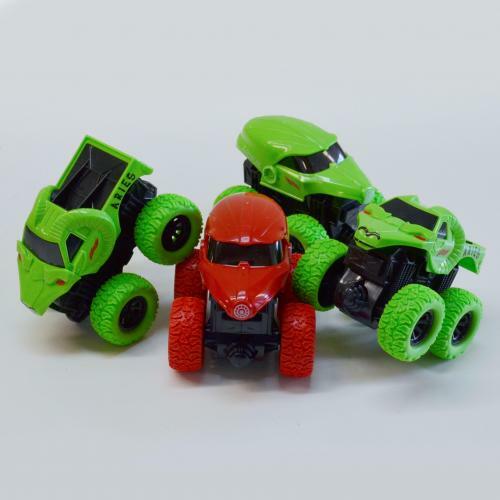 These monster trucks are truly monstrous with a face and attitude instead of a grill and headlights. Super bright colors and unique designs.Not recommended for children under the age of 3.